In a statement, Foreign Affairs Minister Datuk Saifuddin Abdullah said French National Assembly`s move to exclude the use of palm oil as a biodiesel feedstock and end tax incentives for palm oil as of 2020 is seen as a "defacto ban". Malaysia is urging France president Macron to stop discriminating and accord equal opportunities to palm oil trade like that of other vegetable oils such as rapeseed and sunflower. He said this would make palm oil highly uneconomical, causing a 30-40 per cent price hike and will indirectly favour Europe`s home-grown products specifically rapeseed and sunflower oils. "This action does not augur well for the global economy, particularly for palm oil producing countries, such as Malaysia. "It is badly detrimental to the 650,000 smallholders and two million Malaysians who are highly dependent on the industry for their livelihood," he said in a statement. "It is ironic that other oil crops are not subject to the same stringent requirements demanded of palm oil. This is discriminatory and reeks of double standards," he added. Saifuddin said the French National Assembly has also decided to treat palm oil based biofuel as a regular fuel and not as green fuel. This seems to be based on the misguided perception and generalisation that palm oil is linked to deforestation, he said. Saifuddin said his ministry has called on the countries of the European Union to reject any moves to hinder the use of palm oil biofuels, as the proposed ban is clearly an act of discrimination and may infringe WTO rules, and goes against the spirit of globalisation and free trade, of which the EU countries have been so keen to promote and protect.. He said many other oilseed crops provide less oil yield per hectare compared to palm oil. Thus, palm oil is among the most efficient and cost-effective oilseed crop that would benefit both producers and consumers. Saifuddin said the EU should also reject the proposed ban as there have been no reputable studies that conclusively indicate the adverse effect of palm oil to health. "In fact, there have been many more studies that prove the health benefits of palm oil. Malaysia is committed to producing sustainable palm oil. 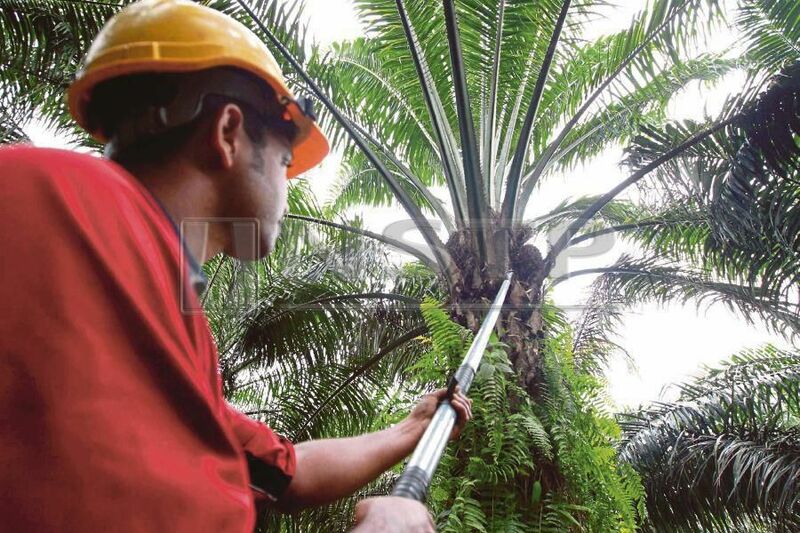 Malaysian oil palm plantations were the first to acquire the Roundtable on Sustainable Palm Oil (RSPO) certification," he said. Through the mandatory Malaysian Sustainable Palm Oil (MSPO) certification scheme, Saifuddin said every drop of palm oil produced in Malaysia will be certified sustainable by 2020. A letter from Prime Minister Tun Dr Mahathir Mohamad to president of Republic of France, HE Emmanuel Macron was handed over to the French Ambassador in Kuala Lumpur on January 14, 2019. The letter explains Malaysia`s position on the French National Assembly`s decision regarding the declassification of palm oil as a biodiesel feedstock in the country.